The rain can stop now, I'm bored. 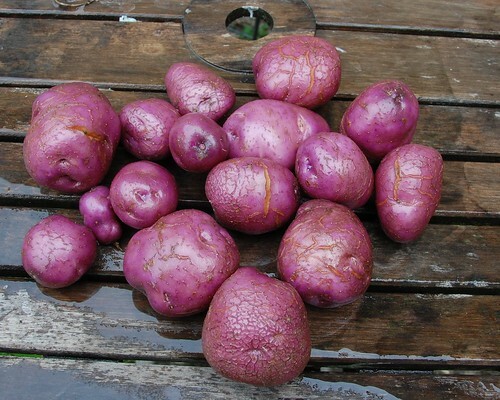 These Arran Victory are the first of this year's harvest. Pretty aren't they, and positively glowing on this very grey day.